Kevin Anderson was unable to gain revenge for his defeat in the Wimbledon final, losing to an inspired Novak Djokovic in straight sets. Novak Djokovic produced another majestic performance to reach the semi-finals of the Shanghai Masters at the expense of Kevin Anderson. The second seed stretched his unbeaten run to 16 matches with a 7-6 (7-1) 6-3 victory in a repeat of the Wimbledon final, which he also won in straight sets. Anderson had a set point in the opener, but Djokovic got himself out of trouble and dominated the ensuing tie-break against a player he teamed up with in the doubles at the Rogers Cup. Djokovic breezed into a 3-0 lead in the second and served supremely to ensure he will face Alexander Zverev in the last four, knowing another win will see him replace Roger Federer at number two in the rankings if the Swiss fails to win the title. 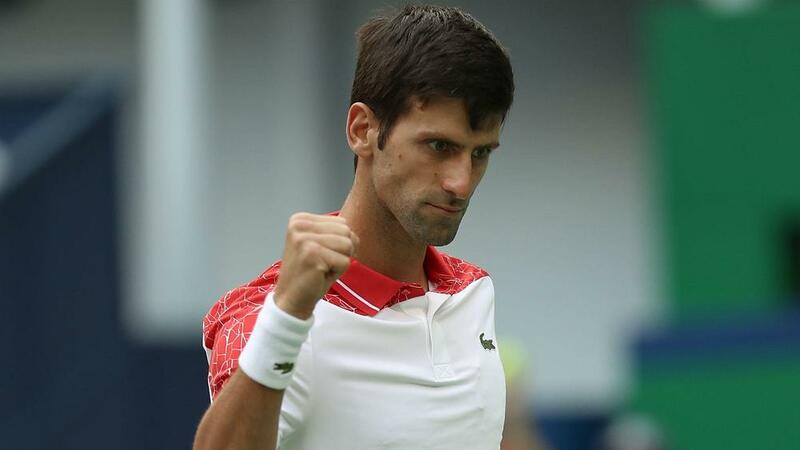 The relentless Serbian made just 17 unforced errors and was impenetrable for much of his latest masterclass, winning 85 per cent of points on his first serve, returning superbly and coming forward with purpose at every opportunity. Anderson, striving to secure an ATP Finals spot, fended off a first break point of the match before holding to take a 3-2 lead and was on the brink of claiming the first set after exerting pressure on the Djokovic serve at 6-5. The towering South Africa showed great athleticism to put away a backhand volley at the net and had a set point when Djokovic drilled a backhand wide, but the 14-time grand slam champion's serve got him out of a hole. Djokovic stepped it up a gear in the breaker, Anderson finding himself 4-1 down after thudding a couple of backhands into the net and the three-time Shanghai Masters champion pressed home his advantage in clinical fashion. Anderson was on the ropes at 3-0 down in the second set, Djokovic working him from side to side as he dictated the majority of the baseline rallies. Djokovic did not give the world number eight a look-in, serving with power and precision and returning with vigour to remain in the hunt for a fourth title of the season.